When Kai Hansen left Helloween in 1988, he briefly meddled around a bit with Blind Guardian, and then founded Gamma Ray together with his long time friend Ralf Scheepers on vocals. In their first years the sound of Gamma Ray was close to Helloween, but over the years the sound changed. In 1995 chief songwriter and guitarist Kai Hansen took on the vocals himself, as Ralf Scheepers first had attempted – and failed to become the new vocalist for Judas Priest, and finally started his own band Primal Fear. To celebrate it’s 25 years existence, Gamma Ray released their very first of, giving a good view of their career/albums over the years. This best of is available as well on CD – standard edition, as a deluxe limited CD edition (only 10.000 units worldwide are available), and also as a 4-vinyl gatefold. 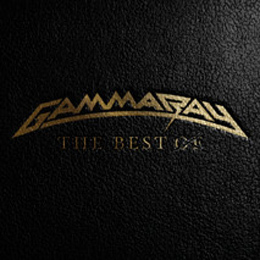 If you don’t want to buy the whole Gamma Ray collection, but still want a good overview over their career, then this is just the album you should buy. I’m not going to comment on the music itself. Let the music do the talking and enjoy this album.